About 100 people rallied outside Boeing’s Renton plant Wednesday after the company confirmed it will establish a 737 jet completion and delivery center in China. 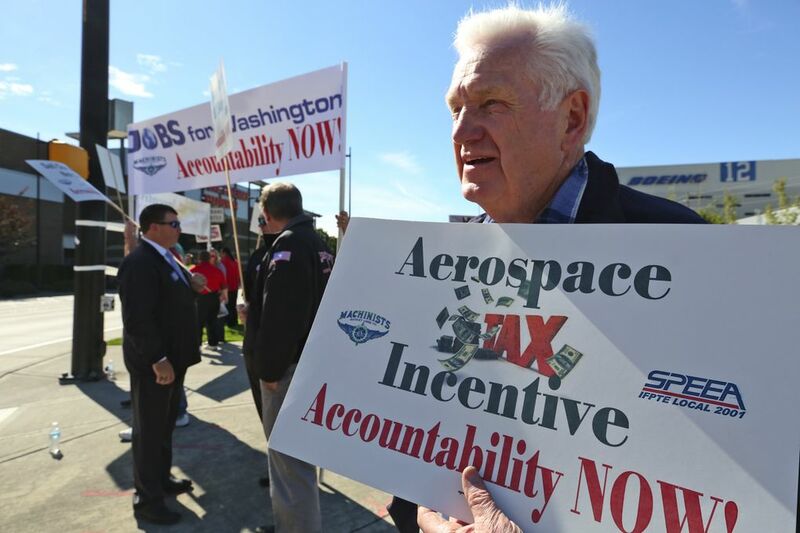 The 737 completion work — installing interiors and painting the planes — is done today in Renton and Boeing Field, and advance reports of the deal prompted the machinists and engineering unions to organize the protest, calling for accountability and keeping jobs in Washington. 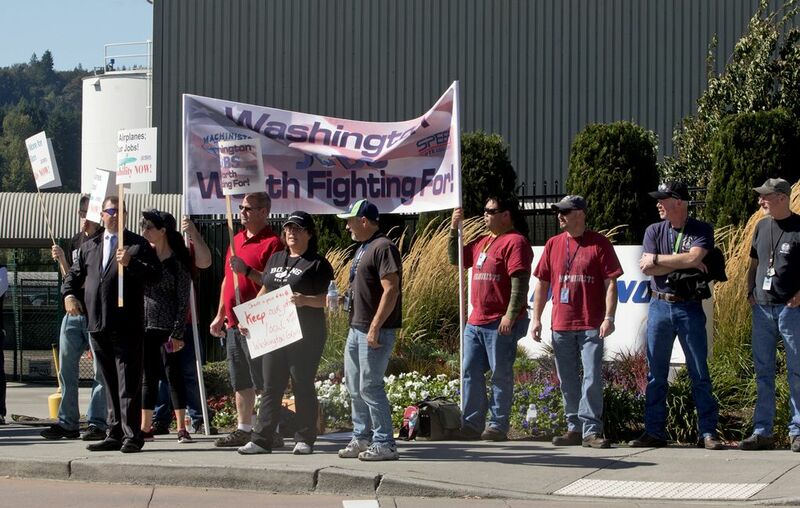 While Boeing Commercial Airplanes chief executive Ray Conner vowed no jobs will be lost here because growing sales to China will result, many union workers don’t believe him and point to Boeing’s shrinking Washington workforce since a new contract was signed last year. Bill Dugovich, communications director for the Society of Professional Engineering Employees in Aerospace union, said he checked Tuesday and Boeing employment in Washington was down by 3,040 since Nov. 2014, when the state legislature extended the tax incentive for the aerospace industry until 2040. “We are taking this opportunity to remind the country, remind elected officials and remind the community that our state extended a very big olive branch to maintain jobs here,” he said. That olive branch came in the form of $8.7 billion in tax breaks that the state granted Boeing in 2013 in return for agreeing to build the 777X here. Dugovich said that came with the understanding of maintaining and growing jobs in Washington.